Won't it be great to have a truly unique calendar, at your office or at home, in 2014. 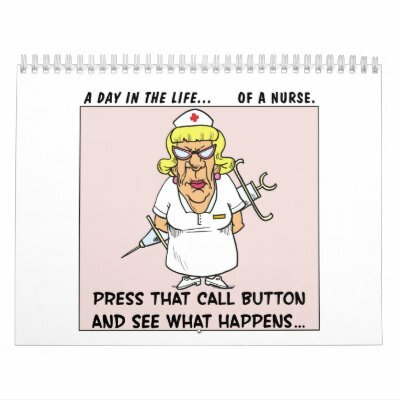 Wouldn't you love to have a genuinely funny calendar on your wall. 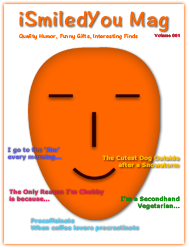 I present to you a handpicked collection of calendars designed by some of the most talented humorists. 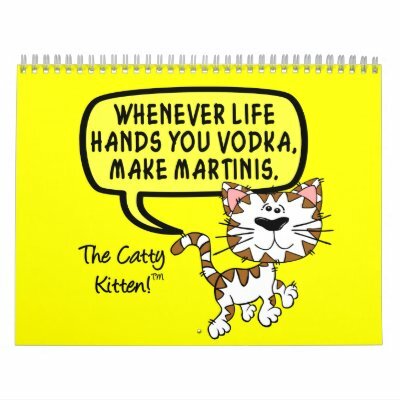 Calendars are a great way to showcase your individuality, your love, your passions - and funny calendars are great to showcase your brand of humor. 1. 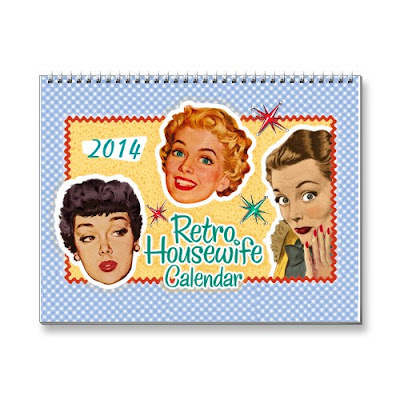 2014 Funny Retro Housewife Calendar A fun calendar, featuring 12 months of funny, retro housewife phrases and sayings. 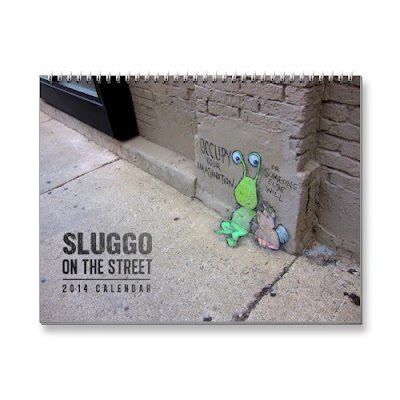 A refreshingly different, fun, creative, cool calendar, featuring a collection of street art / chalk art by David Zinn. Features Sluggo, flying pigs, tentative dragons, and much more! 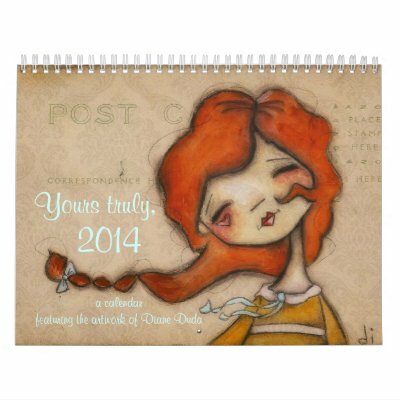 A beautiful, cute, lovely calendar, featuring wonderful, heart-warming artwork by Diane Duda. 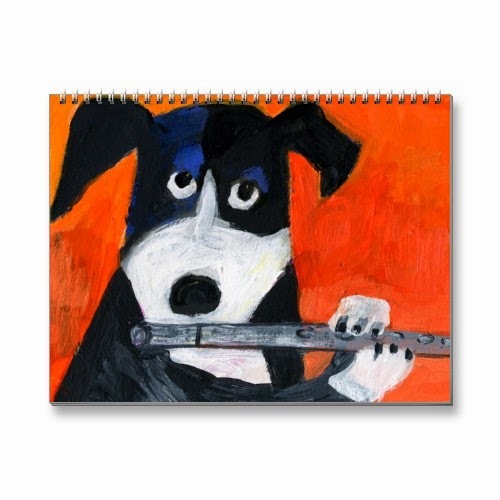 A cute, funny calendar, featuring adorable drawings of dogs and cats, by Anne Made. A cute and funny, cats calendar, featuring drawings, paintings, and original hand-drawn digital art images of cats with colour and personality, by Doug Rogers. An absolutely adorable, cute & funny calendar, featuring sketches of two pugs, Sunny and Rosy. Yes these are all completely customizable calendars! You may add your initials, your company logo, your own text, message, slogan, greetings, or quotes to each month's page or to the front/back cover of these calendars - at no extra cost. A calendar is something you buy, only once in a year. And its one thing that stays with you, visible to you, every single day of the year. Having a wonderful calendar around, brightens up the day.